Easter is a lovely time of year – baby lambs, daffodils and an abundance of Easter treats are very common. However, these treats can be very problematic for our teeth. In this article, we discuss some tips that can help you enjoy Easter without putting your oral health at risk. It’s a tradition for children to enjoy an egg hunt over the Easter period. However, small eggs like creme eggs contain up to 26g of sugar – which is over the recommended daily allowance of 25g for under 18s. Instead of hiding chocolate eggs, why not purchase a bag of hollow plastic eggs and fill them with alternative treats? You can buy these plastic eggs very easily. 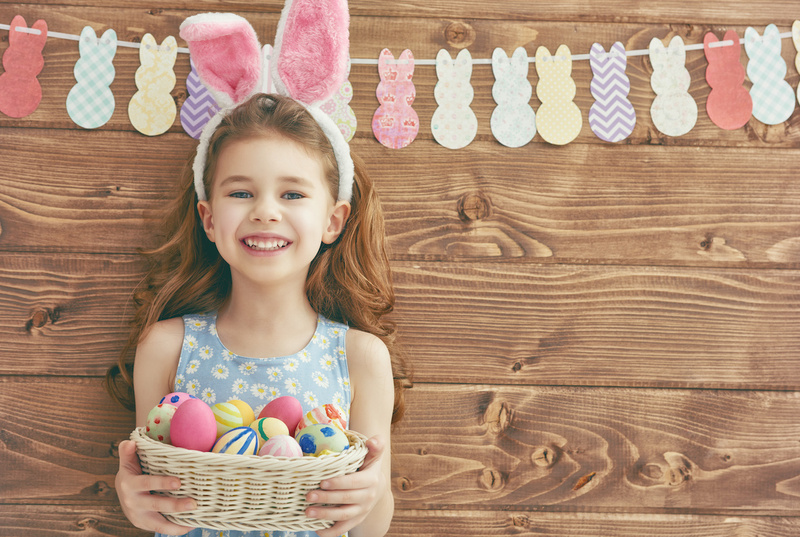 Having a tooth-friendly Easter doesn’t mean your children have to miss out on Easter treats. There are plenty of alternative foods that your children can enjoy, so they don’t feel like they are missing out on chocolate and sweets. For example, you can buy lots of different shaped cookie cutters which can be used to make foods far more exciting. You can use them to cut up food like toast, pancakes and even fruit. Another great Easter themed snack is boiled eggs – you can even let your children crack them open themselves. We don’t want children missing out on chocolate and sweets during Easter. However, we recommend limiting the amount that they have per day. A great way of spreading their treats out for longer is by asking them to split up the chocolate they have into sandwich bags. Each day, they can then have one of the bags to enjoy. It is also important that they have a varied and balanced diet for the rest of the day, and a great oral hygiene routine is adhered to. Drink plenty of water after eating chocolate or sweets. Don’t snack constantly throughout the day. If you would like to book an appointment for you or your child at The Dentist at Liberty Place, please call us on 0121 633 9535 or click here to be taken to our online booking portal. Previous PostPrevious Why are dental implants so expensive?